Today’s more modern no/low code platforms are finding their sweet spot within a CIO’s technology strategy. 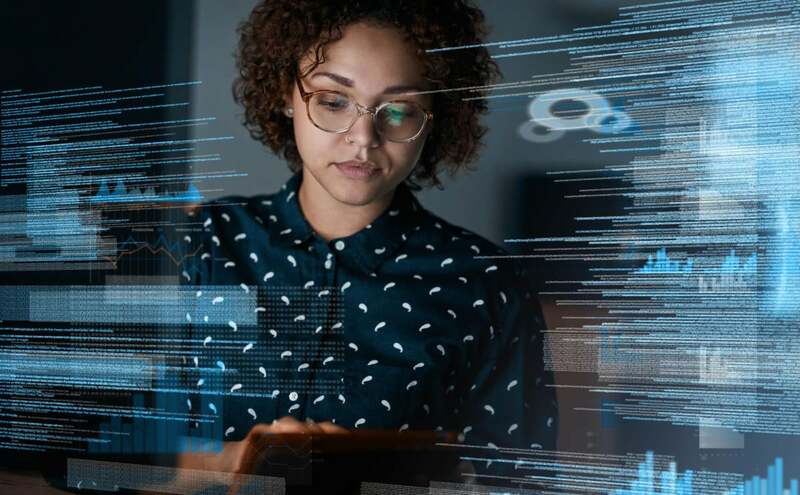 These no/low code platforms now offer new, more nimble ways for IT to help the business move faster and deliver improved customer journeys and business outcomes. As this time has passed and various technologies have come, gone or remained, another technology has quietly reinvented itself over the years as underlying computing platforms have evolved. With the convergence of cloud computing, digital transformation and a couple of generations of tech-savvy business professionals, this technology is ready to rise like a phoenix from the ashes. Since the early 1990s, this technology has gone by many names, such as fourth-generation language, rapid application development tools, code generators, end-user development and others. Over these decades of transition, transformation, great promise, dramatic failures and continued improvement, it’s ready to be a critical part of every strategic thinking CIO’s agenda. This technology is no/low code computing. Cloud-based architectures. No/low code platforms have traditionally been a trade-off between performance and productivity. Today’s modern cloud-based architectures enable high productivity with enterprise scale and performance, and dramatically simplified deployment and maintenance on the part of users. Enterprise-class security. Advances in encryption, audit, compliance and governance oversight enable IT to move fast knowing critical data is safe, even when no/low code platforms are in the hands of business users. Modern REST APIs. When the data and functionality of your no/low code apps is needed in a high control programming environment, for integration into your ecosystem of business systems, data lakes and business processes, it’s accessible to your pro developers just as they would expect. In-memory database computing. As the cost and speed of memory improves, underlying computations and optimizations can be done instantly and on-the-fly. This means high performance data services can be vertically integrated into no/low code platforms without users having to worry about data bindings, SQL, indexing or traditional database administration. It’s just there and users just think about their data and process. IT shops everywhere have backlogs stretching years, frustrating business leaders. No/low code platforms provide overtaxed IT pros a new high productivity tool in their toolbox to quickly roll out an application, and in many instances, hand off customization and iteration of these apps to their business groups, where business analysts or other non-programmer resources can take it from there. Additionally, forward-looking IT organizations are also using no/low code platforms to outsource the development of certain business applications to the business, effectively expanding the company’s pool of application developers! Very often companies have spreadsheets acting as small data repositories of important company data, typically used in decision making, process flow and other similar uses. Moving these spreadsheet pseudo-applications to a no/low code platform puts the data into a controlled, secure environment protected by proper backup, security, audit and other security features. And, for the business, it ensures the latest and most update-to-date data is always available at their fingertips. Official “Systems of Record” present a conundrum for many CIOs and IT staffs. The data within them is extremely valuable and useful to the organization but they are typically locked down, hard to use and expensive to change. The more IT can do to get that data into the hands of those closest to the work, the more effective and data driven a business can be. At the same time, for good reason, Systems of Record are important to protect. No/low code platforms can offer a solution—acting as a “System of Engagement” that safely connects to the data and puts it in the hands of business users who can extend it with other data and put it to work for business intelligence, reporting and custom business processes, without putting at risk any of the needed system of record controls. There are hundreds of unique every day processes running businesses. No/low code platforms offer a fast and cost-effective way to build small to large workflow applications that manage departmental workflows being done by hand. In fact, if you have multiple workflows to automate, it can be extremely cost effective to put them all on a no/low code platform because you generally only pay for the platform and not each application on it. As a result, there is no out-of-pocket cost (other than your in-house rapid development time) for multiple applications. If you are currently maintaining multiple single-purpose applications or are considering building/buying more single purpose applications, this could be a money-saving solution. No/low code platforms are ideal for engaging the business even deeper into your agile development methodologies. Because of their ability to support rapid application development, prototypes can be created and iterated in real time directly with your business users, saving time and energy in the requirements and design phase, and ensuring you get the business requirements exactly right. Many times, these prototypes evolve into the end application, with the business users helping with parts of development. In closing, as an application developer by background, I’ve seen and used a variety of these products over the years. It’s good to see that this class of development platforms has finally arrived!